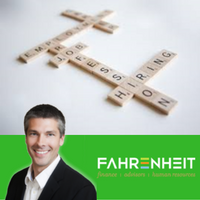 Finding the right employee to fill a job opening can be a significant challenge for employers. Many employers are not prepared for the fast pace that is required in today’s market to land the right hire. The mantra of “Hire Slowly and Fire Quickly” still applies, but when you are speaking with candidates for a potential role with your company you should move as expeditiously as possible to ensure the individual does not lose interest or find another position. In today’s fast paced environment, not only do candidates typically have multiple opportunities to consider, we have also witnessed candidates passing on an opportunity if the potential employer takes too long in the hiring process. To help minimize the number of candidates you are reviewing, be sure to clearly define the ideal qualifications you are looking for in an applicant and filter out resumes that don’t meet at least 75% of those criteria. Communication is important for every role, so phone-screen all candidates prior to scheduling an in-person interview. The right individual will be as effective on the phone as they are in person. Once you have decided on the candidates you want to interview in person, coordinate schedules amongst the employees responsible for making the hiring decision and attempt to consolidate interview(s) into one or two visits. Directly after the interview, meet as a team to determine the next steps and follow-up with each candidate to let them know where you are in the process, even if they are no longer in consideration. Once you have decided which candidate you would like to hire, ensure you have all the data required to make an appropriate offer for the position, send the offer to the candidate, and let them know the deadline for a response. Having a solid hiring process in place is as important as finding the right candidate. To learn more, click on the following link to read a recent article by USA Today. 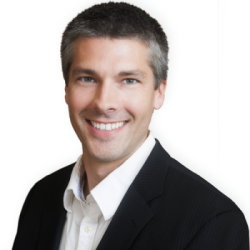 Mike is an experienced Controller that brings nearly 15 years of expertise as an Accounting and Financial Executive to Fahrenheit with a broad range of experience in accounting, auditing, banking, and finance across several industries. To learn more about Mike or contact him, click here.